Week 7 in our series looking at the Sermon on the Mount – Matthew 7:1-6 Dan Allen shares what Jesus teaches us about living with others and what judging means. 1. What does Jesus mean by “Do not judge”? 2. Why shouldn’t I judge others? 3. What about those who refuse to be helped? Week 6 in our series looking at the Sermon on the Mount – Matthew 6:19-24. Dan Allen shares Jesus’ words about money – 2 treasures, 2 eyes and 2 masters. Week 5 in our series looking at the Sermon on the Mount – Matthew 6:1-18. Darcy Dueck explores Jesus’ model prayer that we should use as an example in our own lives. 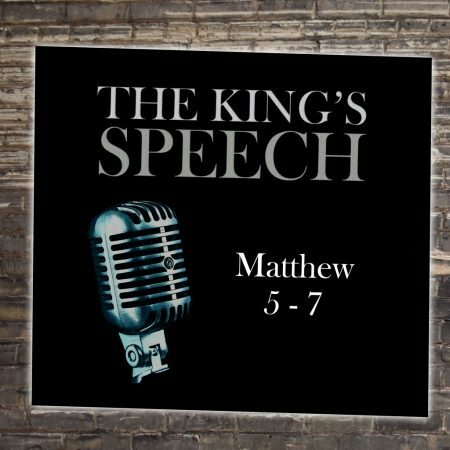 Week 4 in our series looking at the Sermon on the Mount – Matthew 5:38-48. Kirk Durston examines what Jesus teaches us about retaliation. The third week in our series looking at the Sermon on the Mount – Matthew 5:27-30. Pastor Dan looks at what Jesus says about lust, adultery and sexual purity. The second week in our series looking at the Sermon on the Mount – Matthew 5:21-26. Jesus teaches us about unrighteous anger and murder. The first week in our series looking at the Sermon on the Mount – Matthew 5:1-12. In the Beatitudes, Jesus teaches about the blessed life.